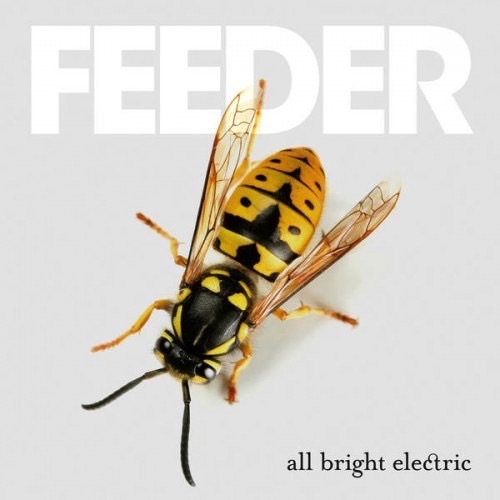 Feeder have been around now longer than a lot of modern rock fans have been alive. Formed in 1992, the Welsh rockers have eight studio albums under their belts, with the ninth set for release on October 8th. The band has had its fair share of attention over the years, with singles such as ‘Buck Rogers‘, ‘Just A Day‘ and ‘Renegades‘ drawing in fans by the boatload, but with four years since their last album they’re setting out to prove that they’ve still got “it”. All Bright Electric opens with ‘Universe Of Life‘, which is as accessible as it is gritty. 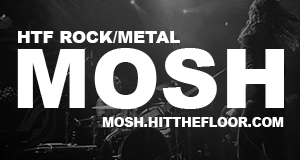 Their fans can be easily split into two groups— those who enjoyed the pop-infused, commercially successful sound that Feeder were plugging on the likes of Pushing the Senses, and those who prefer their older style that draws influence from 90’s grunge. Remarkably, this album’s first track can cater to both, and that’s no doubt the reason why it was released as the lead single. Next track ‘Eskimo‘ also made it as a single, featuring expansive vocals and a driving bassline, and Feeder prove, as the album progresses, that they can stay true to what their older fans want to hear, but retain the infectious, radio-ready air about it. ‘Paperweight‘ is the kind of track that would be right at home on BBC Radio 1, while the next song, ‘Infrared-Ultraviolet‘, is actually fairly haunting and sees Feeder touch on an approach they haven’t particularly been associated with before. The latter half of the album is equally as solid as its opening tracks, offering something for everyone that may potentially listen and particularly standing strong in the form of ‘Divide The Minority‘, which has a bit of a punk vibe to it, and ‘Another Day Of Earth‘, which finishes the album off brilliantly and, surprisingly, tearfully, with an intricate piano riff and heart-wrenching lyrics that will really make you think. It’s hard to fault Feeder, since they’ve been around so long that they’re well aware of what works and what doesn’t. They’re not making rookie mistakes at this point as they’re simply going with the sort of methods that have kept them popular for over twenty years now. All Bright Everything is a stellar album in every area, from lyrics to composition, and everything else in between. If you want a bit of down-to-earth, no-frills rock music in your life, this is the perfect album for you.